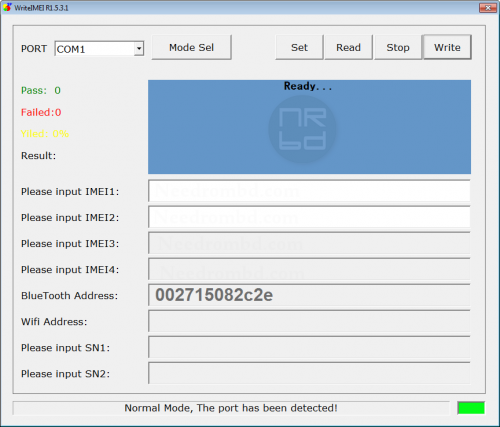 WriteIMEI tool allows user to write IMEI on Spreadtrum Android based device in few clicks only. on this page , we have managed to share the latest version as well as the old version of WriteIMEI tool for free. ⇒ WriteIMEI only helps user to flash IMEI on Spreadtrum chipset based devices. It will not work on the Mediatek chipset devices or any other chipset devices. ⇒ How to know the your Device IMEI Number-To know the IMEI number is by dialing *#06# or by removing the device battery (IMEI written on the back part of most device. ⇒ Caution: Flashing IMEI other than the original IMEI is illegal and may cause serious troubles to user, so beware. Always flash the same IMEI number which comes with the your device. ⇒ Credits: WriteIMEI tool is provided by Spreadtrum Inc, so all credits goes to them for the tool.